This entry was posted on October 12, 2013 at 11:01 pm	and is filed under Nia. Tagged: core moves, dance class, dance lessons, dance moves, Jazz Dance, jazz square, Nia class, Nia Dance, Nia Intensive, Nia routine, Nia White Belt, Nia's 52 Moves, Nine Movement Forms, rock around the clock. You can follow any responses to this entry through the RSS 2.0 feed. You can leave a response, or trackback from your own site. I remember a time early on in my Nia teaching when I hated the Jazz Square. It just wasn’t something that came natural for me. I also remember talking to a Nia mentor friend at the time and telling her my distaste for the JS to which she replied, “you might want to get used to it, Carlos uses it ALOT”. Once I learned it, it actually became my FAVORITE step! It still is a fave of mine and I love the song from Beyond, “Without Warning”, where it’s two slow jazz squares and walking in a circle which then goes to fast jazz squares and walking (or trotting as the case may be) in a circle. I just love that choreography and use it alot with some of my own music. It’s so cool that you took dance lessons when you were young. I always wanted to but never did until I was an adult — very different learning things as an adult!!!! Thanks for your blog…most wonderful as usual!! Ha, ha, ha. There is Nia, right? Teaching . . . . it taught you or was the vehicle that taught you to love jazz squares. I took ballet and tap for . . . probably a couple of months. It wasn’t very long. Thank YOU for reading and commenting, Jill. I appreciate it! 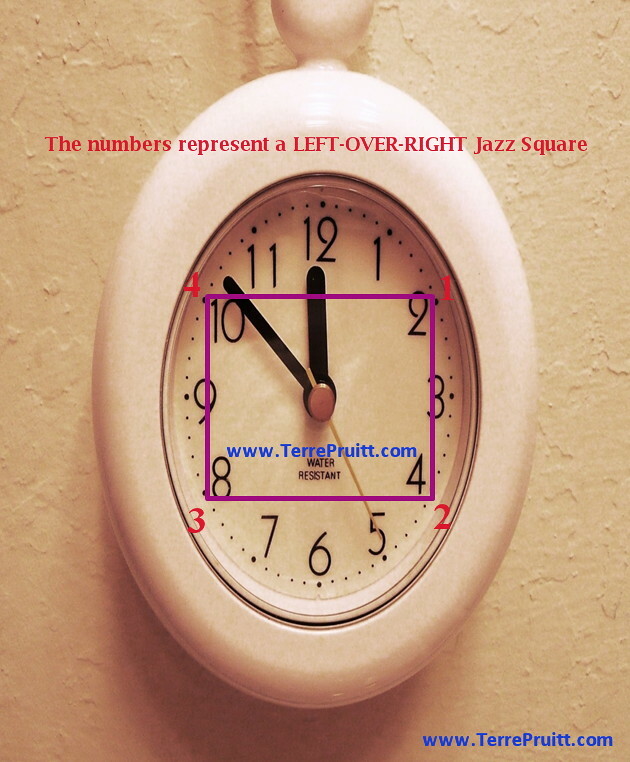 So if they are calling the jazz square a fast clock what are they calling the movement that is (used to be?) the “Fast Clock”? As with most moves I find the learning portion is often more exaggerated and exact than the actually dancing portion. So, kind of as I mentioned, when I am doing the jazz square in a dance it seems to become more of a off-kilter square or diamond shape. What is really great is when the participant actually knows how to do it, it becomes their own and they do it in their own way. I will probably stick with calling the jazz square a jazz square, since it is a “universal” dance move/term. 🙂 If Nia is gonna call it a fast clock, I can just stop calling the Fast Clock (or what used to be the Fast Clock), the “Fast Clock”. Ha, ha, ha.